Video Projection Monumentale ~ Digital Lights! Willem "Pim" Kolff ~ R.I.P. A biomedical engineering giant has fallen to the relentless ravages of age. 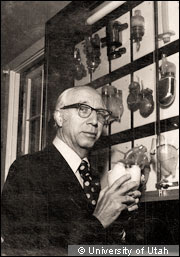 Dutch inventor-engineer-physician Willem "Pim" Kolff persevered through Nazi occupation in the Netherlands -- helping the Resistance, protecting Jews and others at risk -- all while inventing-perfecting the first kidney dialysis machine. He then migrated to the USA and went on to play key roles in developing artificial hearts, eyes, ears, and an early prosthetic arm. Remarkable. R.I.P. "Rubbish may be universal, but it is little studied and poorly understood. Nobody knows how much of it the world generates or what it does with it. In many rich countries, and most poor ones, only the patchiest of records are kept. That may be understandable: by definition, waste is something its owner no longer wants or takes much interest in. 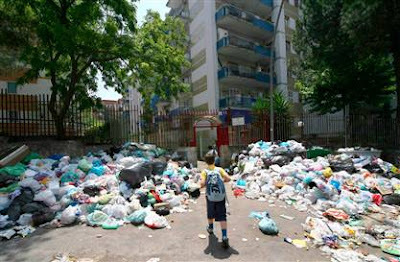 [...] Yet many also see waste as an opportunity. Getting rid of it all has become a huge global business. Rich countries spend some $120 billion a year disposing of their municipal waste alone and another $150 billion on industrial waste, according to CyclOpe, a French research institute. The amount of waste that countries produce tends to grow in tandem with their economies, and especially with the rate of urbanisation. So waste firms see a rich future in places such as China, India and Brazil, which at present spend only about $5 billion a year collecting and treating their municipal waste. 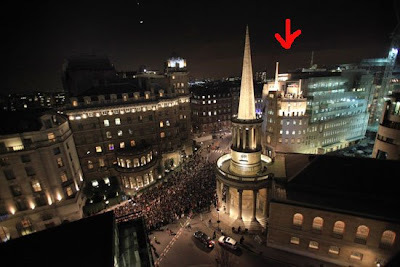 Waste also presents an opportunity in a grander sense: as a potential resource..."
Civic Media ~ U2's Surprise Gig Atop BBC House! "Dealing with India's rural poor is traditionally the preserve of government or non-profit charities -- or rapacious money-lenders ready to step in with emergency loans at extortionate interest rates. But after two years of research in rural villages in India and Sri Lanka, Mr Hande was convinced the poor would pay for solar lights, in spite of their hefty cost, if they could obtain affordable loans with repayment schedules that reflected their cash flow. "If you create appropriate financing and appropriate products, the people will pay," he says. Much of Mr Hande's energy has gone into persuading rural loan officers in state banks to provide credit to families to buy solar lights. But he remains awed by villagers' willingness to spend the equivalent of a full year's income on his product. "Think how much time we take to make a decision to spend a whole year's salary," he says. "But the poor are willing to pay." Harish and colleagues continue to both extend their reach and bring new sustainable energy solutions to their customers! 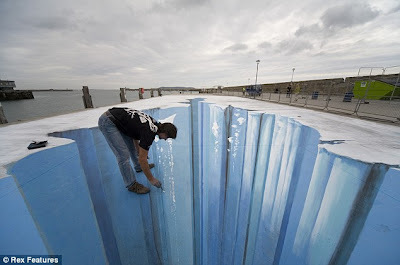 3D Street Art ~ Edgar Mueller's Giant Illusions! 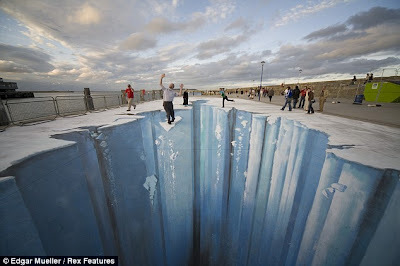 Thanks to the Daily Mail piece by Tom Kelly on Mind the crevasse: The amazing 3D pavement art that has pedestrians on edge spotting Edgar Mueller's giant optical illusions! Here's the artist in mid-paint... And, of course, there's a great timelapse video on the 'Tube! "So far Hand in Hand has enrolled 387,000 extremely poor women. 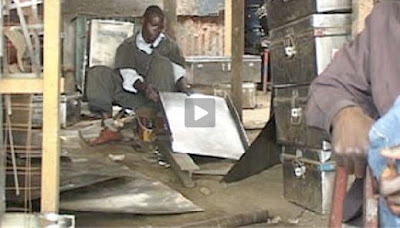 They are trained in finance and enterprise creation, and supported with micro-loans. They have started 215,000 enterprises in production, trade and services, and currently establish around 400 new enterprises per day. The reality is that when the women start businesses, they get empowered at all levels. They eat more, earn more, read better, become more active in local government. The fight against global poverty can also be greatly inspired by Indian methods. 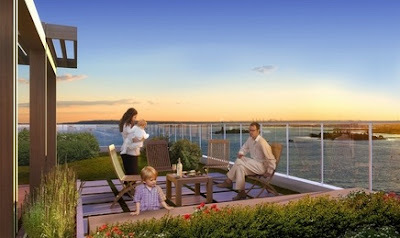 We have seen that, with tight cost control, it is possible to create a job for some $50. 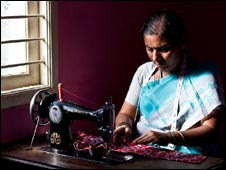 This means taking a woman living on less than $2 (£1.40) per day, and within one to two years turning her into a self-sustaining entrepreneur, with a business generated income supporting an average of five or six people. This cost is a one-off. It is a fishing rod rather than a fish. With the reallocation of some 5 to 6% of the world's aid budgets, and using a self-help model, we could see a massive improvement in the living standards of the world's poor in the next 10 to 20 years. These self-help models, now growing among the entrepreneurial ultra-poor Indians, show that India could lead the way in the fight against poverty." "...a wheel that can turn an ordinary bicycle into a very desirable electric one in an easy, cost effective manner. Enclosing a motor, A123 Systems batteries and a generator into a small aluminum pancake hub, the GreenWheel can give you up to 25 miles of propulsion, or much more if you don't mind pedaling. Unlike conversions kits from the past, it forgoes running wires the length of your bike by incorporating the magic of bluetooth to control the twist-throttle." This is a great emerging innovation sector. Check out my earlier posts on Wheelmotors and RevoPower as well as about Practical Cycles more generally. "...the rapidly evolving intersection of mobile phones and healthcare. 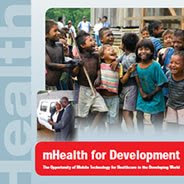 It helps the reader to understand mHealth’s scope and implementation across developing regions, the health needs to which mHealth can be applied, and the mHealth applications that promise the greatest impact on heath care initiatives." The whole report PDF is online and was orchestrated by a partnership of the UN Foundation and Vodafone Foundation and written by Vital Wave Consulting. 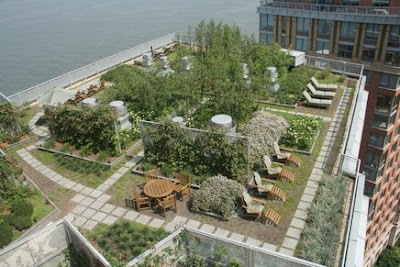 Roof Gardens ~ Beauty Atop The Greenscraper! 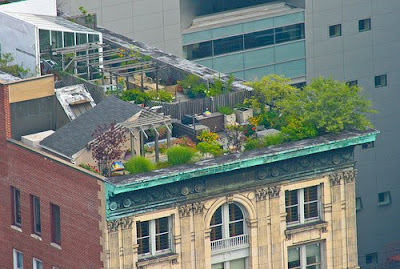 There's no excuse in the modern era for rooftops to lack greenery! "After working four years to develop their concept, students and staff at MIT built the pedal-powered washing machine primarily from bicycle parts and empty barrels. The machine was designed to be easy and inexpensive to manufacture, mostly using parts and tools that are readily available anywhere in the developing world. And since the machines can be made locally, their use can even generate new jobs. 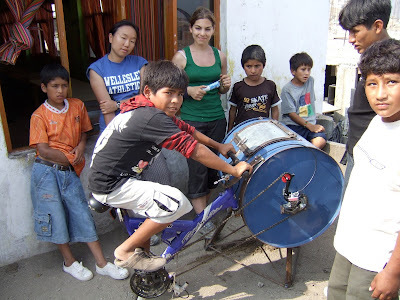 Dubbed "bicilavadora," which combines the Spanish words for bicycle and washing machine, the new invention got a stringent test last month when a team of MIT students took a prototype machine to an orphanage in Ventanilla, near Lima, Peru. With 670 resident children, the orphanage produces enough laundry to keep the washer perpetually busy." Uber-compadre Daniel Rosenberg of Moments of Science and In Demo Veritas fame spotted this delighter on the Slow Leadership site, Are today’s organizations creating hardworking Idiots? all about German General Erich von Manstein's leadership typology... The upshot? Fire all the hardworking idiots -- and I know of several in quite senior positions at MIT -- be a clever lazy person, and hire clever hardworkers. Harsh but honest. "The 25,800 currently active companies founded by MIT alumni employ 3.3 million people and generate annual world sales of $2 trillion, equivalent to the 11th largest economy in the world." 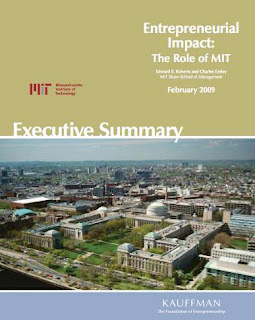 One caveat, however -- since I ran the MIT Founders Project in the 1990s -- which was an actual direct count census -- and I have some sense of how many companies there really are co-founded by MIT-related people, I think the Roberts & Eesley so-called direct extrapolation technique substantially overestimates things (by maybe a factor of 3x or 5x). But I'm willing to be convinced otherwise. "Born with a cleft lip in an impoverished family, the first few years of Pinki's life were spent in abject unhappiness. Every one used to tease her, they used to call her hothkati -- the girl with the torn lip. "I used to think that she would be better off dead. I used to wonder who would marry her? Where would I find the money to pay for her dowry? At school everyone teased her. At home, family and friends talked about her as if she was a freak," says Mr Sonkar [her father]. Pinki's life took a turn for the better when she was spotted by a social worker. Dr Subodh Kumar Singh is the plastic surgeon at the GS Memorial hospital in Varanasi who carried out Pinki's surgery. "Her parents wanted her lip to be fixed from the time she was born, but they had no means. They couldn't afford it. Pinki had grown up to six years, she could see her face in the mirror, and she always wanted it fixed," Dr Singh says. It's difficult to imagine that until a couple of years ago, she had no friends and that she was ostracised and teased. Today, she's the star." P.S. 22 Feb 2009 Update: Smile Pinki won the Oscar! 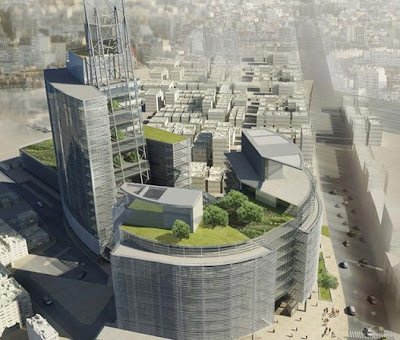 "These programmes have swept across the developing world. In 1997 Mexico was one of only three countries to have a CCT programme. By 2008, as the World Bank documents in a new report, virtually every country in Latin America had one. So did Indonesia, Nigeria, Burkina Faso, the Philippines, Bangladesh, India, Turkey, Cambodia, Pakistan and Kenya. Some of these programmes are huge: Brazil’s Bolsa Familia serves 11m families." "...there is little evidence that CCTs raise educational standards (as opposed to attendance); and while children may go to clinics more, that does not mean their nutrition or immunisation rates improve. The programmes may not be to blame. The problem may lie with the dire quality of schools and clinics [since] a quarter of Indian schoolteachers were absent on any given day. CCTs, for all their advantages, cannot do much about that." I'm delighted to see MIT Media Lab Director Frank Moss cast a high call for investment in Enabling Innovations -- those technologies and solutions which serve those who he calls the historically disabled, disadvantaged or dismissed. This is a topic I've cared about for a long time, including having catalyzed our MIT Enterprise Forum Global event two years ago on A.B.L.E. Technologies -- or Achieving Better Life Experiences for people with injury, disability, and aging challenges. And the Neurotechnology Ventures seminar I co-teach with Ed Boyden and Rutledge Ellis-Behnke -- spotlighted recently by MIT TechTalk as Brainy Businesses -- is centrally interested in regenerative and recuperative solutions. 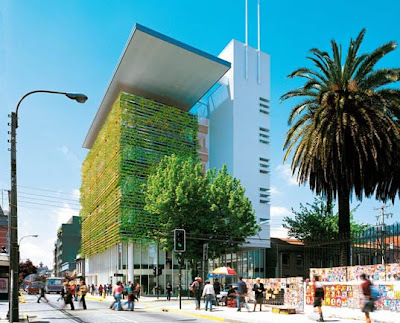 Plus, the Development Ventures seminar I co-teach with Sandy Pentland centrally addresses the challenges of the most dismissed -- those in Emerging Markets! Not only are more investments a top priority here, but the accelerated translation of inventions into widely deployed innovations could not be more pressing and urgent. Most exciting of all, some of the currently so-called "disabled" might become the dramatically empowered lead users of tomorrow -- i.e. more enabled than everyone else! "...there is indeed something special about the contribution the middle classes make to economic development that goes beyond providing a market for Western consumer goods. The middle classes can, and sometimes do, play an important role in creating and sustaining democracy, though on their own they are not sufficient to create it, nor do they make it inevitable. On balance, the report is optimistic about the prospects of countries where the middle classes are growing. But they are not a homogeneous group, so their impact varies. A middle class that has grown largely to tend to the state will behave differently from one that is based on the private sector." Charles 'Che' Darwin ~ ¡Viva La Evolución! 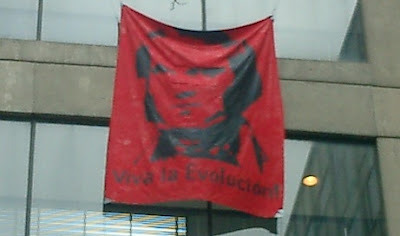 The latest hack at MIT -- Celebrating yesterday's 200th birthday of that radical evolutionary, Charles 'Che' Darwin! "Even amid the global economic slowdown, one Indian industry continues to boom: selling cellphones to the rural poor. Economists have slashed Indian economic growth forecasts for this year and the stock market is in the doldrums. But cellphone companies are signing millions of new subscribers a month, making India the fastest growing mobile-phone market in the world. There is no sign of a slowdown yet: figures to be released later this month are expected to show that new subscriptions in January reached a record 11 million." Boeing 747 ~ Happy Birthday to the Big Jumbo! "Since that first flight, the 747 has fulfilled the faith of its designers and has led to reductions in air fares, opening up air travel to many in a way that was previously unimaginable. This has been made possible by the economies of scale which a larger aircraft can offer. In simple terms the overall costs of operating an aircraft with, say 400 seats, are typically not double those of an aircraft with 200 seats. 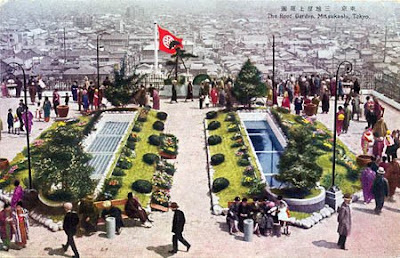 In effect, the cost per seat is reduced." Word has just come to me of bankruptcy declaration by my favorite toymaker -- Märklin -- a giant in the field of model trains. Since I was five years old I've played with their product and it inspired my interest in engineering and more. Here's the evidence: DIY play with Dad! I hope that the madness and uncertainty and turmoil that are today's economies and financial markets don't inadvertently kill the very stuff that makes us human -- culture, history, legacy, creativity, joy, and more. Let's hope Märklin makes it through these troubles. Stonehenge Reloaded ~ Simple Build Methods! 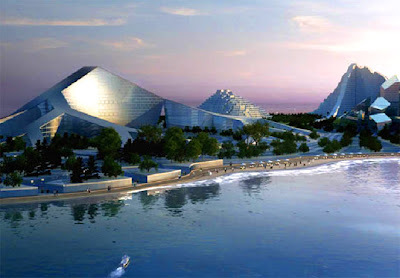 Permeable Buildings ~ Digital Water Pavillion! Just now sitting in the MIT Media Lab's Permeable Buildings event. Bill Mitchell shared his work with Carlo Ratti on the Digital Water Pavillion at Zaragoza. Very cool! Together with a highly motivated MIT student colleague, Wendy Chen, I'm organizing an introductory seminar on Social Entrepreneurship for underclassmen at MIT (and, it turns out, cross-registrants from Harvard.) Our goal is for them to become increasingly able social entrepreneurs while at MIT, learning by doing work on a more senior student's social enterprise project, and ultimately planning and/or building their own efforts. We'd like to help our students make the very most of their all too limited time at the Institute, which includes learning how to take full advantage of the resources, connections, and opportunities which abound here! 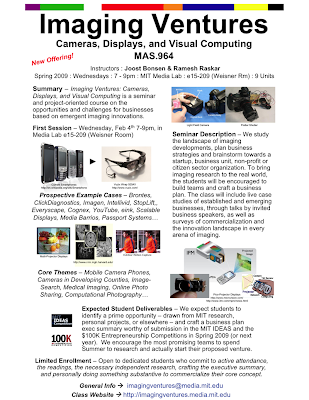 Imaging Ventures ~ Cameras, Displays, Visuals! New Model for Transportation -- February 10th -- How can city design, new vehicle concepts, and technology enable more responsive personal and mass transportation? Digital Cities -- February 17th -- How can personal technology, sensing, urban-scale media, and just-in-time information foster community, sustainability, and a better life-balance? Live-Work -- February 24th -- How can the city plan, architecture, transportation systems, technology, and services support a changing pattern of 24-hour distributed work, virtual offices, live-work environments, etc.? Distributed/Centralized Energy -- March 3rd -- How can we design for both distributed and centralized energy? How can heating, cooling, and electrical loads be dramatically reduced through design innovation and technology? 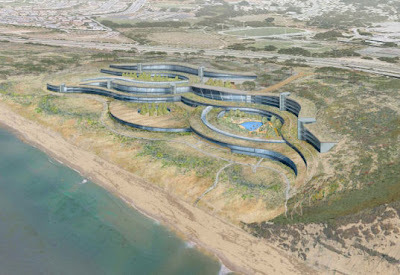 New Model for Building Design, Fabrication, and Technology Integration -- Mar 17th -- How can mass-customization, disentangled systems, off-site fabrication, and information technology enable agile, adaptable, high-performance, responsive housing? We challenge our students to explore the design, commercial and cultural consequences of emergent urban innovations across several levels of analysis from individual artifacts through urban plan. Mobiles are a truly transformative technology dialing up the lives of billions of people worldwide! At MIT we live up to our motto Mens et Manus and our humanistic mission -- "for the betterment of humanity" -- by doing international development. The D-Lab family of classes has blossomed from a Haiti Class taught by my MIT colleague Amy Smith, an extracurricular DesignThatMatters offering by Media Lab grad students, and a water and sanitation class by Civil & Environmental colleague Susan Murcott to a whole suite of offerings throughout the year along the extended development innovation pipeline from Discovery to Design to Dissemination and beyond! 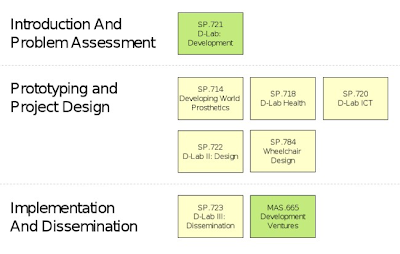 The latest incarnations include ICT, Wheelchairs, Prosthetics, Health, and more. 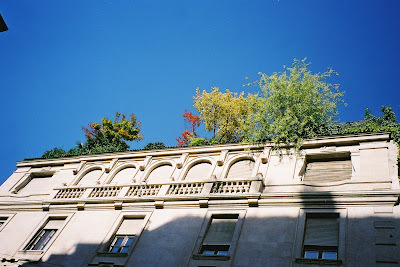 There's an ever expanding Fall and Spring sequence (green and yellow, respectively)... This is a great set of activities and I'm proud to be collaborating on this with some really wonderful colleagues! "...if you believe that the world is unlimited, that technology will always be there with a solution that lets you have more, that markets always work perfectly, then we will never change what we're doing and we will inevitably crash into the physical limits of the planet. 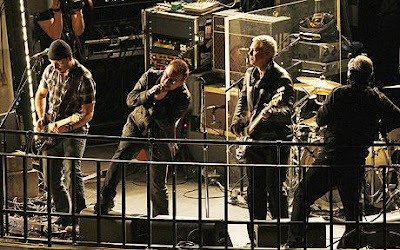 On the other hand, if you say it's too late, that there's too many of us, that we're too greedy, that no change is possible, then we might as well just give up and for sure we're going to get what we expect. What Dana worked for is to live as if there's just exactly enough time. There's enough time to do it, with no time to waste. Just exactly enough time, enough resources, enough environmental resilience and enough human compassion to bring about the change we need to create a sustainable world." Jimmy Kimmel's show has a great segment called Unnecessary Censorship, spoofing the FCC's unconstitutional interference in our lives. Enjoy!